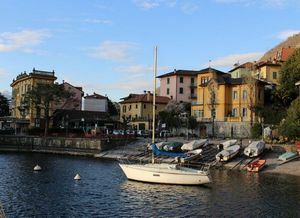 Villa Monastero rests in Varenna, on the eastern shore of Lake Como. It is one of the most interesting examples of Eclecticism around Lake Como. The decorative and functional elements, added during the renovations of 19th and 20th centuries, didn’t change substantially the previous look of the building, resulting in a really great-looking villa. Villa Monastero is an amazing complex that includes a wide botanical garden, which is arranged in terraces and collects many rare plant species. The mild climate, favored by the lake, allows numerous botanic species from all over the world to grow. This is the reason why, in almost every season of the year, the park gives you the chance to enjoy a variety of colors and scents. 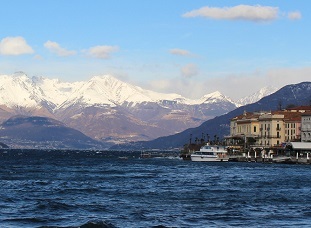 Villa Monastero is currently highly regarded as an international conference center. Famous institutions, universities and companies frequently hold conventions, training courses and workshops in the wonderful settings of the villa. The building features several rooms to suit every need, the most outstanding of which is the Fermi Hall, where, in 1954, Nobel Prize winner Enrico Fermi held many physics classes. Additionally, visitors will have the chance to see Casa Museo, a museum that collects four centuries of history within the elegant setting of the villa. The 14 rooms of Casa Museo are completely furnished, and will give you the opportunity to go back to the past through various styles, precious materials and luxurious decorations. Villa Monastero was initially a Cistercian nunnery dedicated to the Holy Virgin, and was built at the end of the 12th century in connection with the nunnery of Lenno, on the opposite side of Lake Como. In the mid 16th century, the Mornico family bought the property and made some renovations to the building, that remained in their ownership for over three centuries and was known as “Villa Leliana”. In 1862, the villa was acquired by Pietro Genazzini from Bellagio, an engineer who carried out some further renovations. In 1869, Villa Monastero became property of Carolina Maumari, a famous noblewoman from Milan. During those years, many prominent personalities from cultural world used to hang out at the villa. Later, the complex passed through several foreign owners, who embellished it with some elements of Nordic taste. In 1918, the villa was acquired by the Italian government as war debt, until, in 1939, became a public property and also a museum. 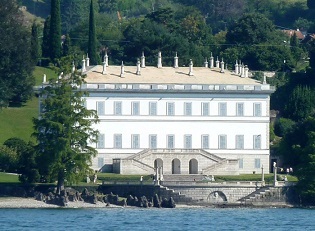 Since then, the villa is a reference point for conferences and events on Lake Como.